External auditors are supposed to be “independent” of their audit clients — both in appearance and in fact. This may seem like common sense. But there’s sometimes confusion about the rule, causing the SEC to file auditor independence cases on a regular basis. These enforcement actions generally fall into three broad categories: 1. Auditors who provide prohibited nonaudit services to audit clients, 2. Auditors who enter into prohibited employment (or employment-like) arrangements with audit clients, and 3. Auditors (or associated entities) with prohibited financial ties to audit clients (or their affiliates). To avoid independence-related enforcement actions, it’s important for auditors and their clients to respect the auditor independence guidance. Audit clients generally include companies whose financial statements are being audited, reviewed or otherwise attested — and any affiliates of those companies. 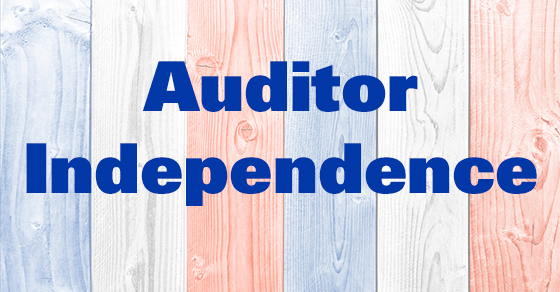 Unsure whether an assignment violates the auditor independence guidance? Consider these questions: 1. Does it create a mutual or conflicting interest? 2. Does it put the auditor in a position of auditing his or her own work? 3. Does it result in the auditor acting as a member of management or an employee of its audit client? 4. Does it put the auditor in a position of being the client’s advocate? Affirmative answers may indicate possible independence issues. The SEC applies these factors on a fact-sensitive, case-by-case basis. Examples of prohibited nonaudit services for public audit clients include bookkeeping, financial information systems design, valuation services, management functions, legal services and expert services unrelated to the audit. The auditor independence guidance applies to audit firms, covered people in those firms and their immediate family members. The concept of “covered people” extends beyond audit team members. It may include individuals in the firm’s chain of command who might affect the audit process, as well as other current and former partners and managers.